The 2017 Cheltenham Festival is just around the corner and bookmaker BetOnBrazil have launched a number of betting promotions and free bets - including an exclusive £5 no deposit free bet and several enhanced odds on the most backed Cheltenham horses. Enjoy the Cheltenham Festival at BetOnBrazil! Free Bets can be used on any market selections with odds of 3.0 (2/1) or greater. Your stake will not be returned if you win your Free Bet. For example: If you place a Free Bet of £5 with odds of 3.00 (2/1), you can keep the £10 awarded as profit, but not the Free Bet stake of £5. Before any winnings from your Free Bet can be withdrawn, a further £10 must be staked on any market selections with odds of 3.0 (2/1) or greater. 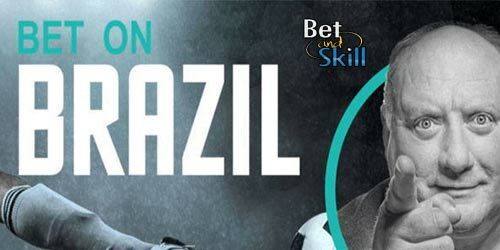 Make a minimum deposit of £10 adding the bonus code BRAZIL where prompted to do so on the deposit page. Place a bet (or series of bets) at minimum odds of 1.5 with a minimum stake equal to 10x the combined value of your deposit amount and bonus funds received and once such bet(s) have settled, any bonus funds and winnings remaining will become withdrawable. On successfully making a £10 deposit, you will receive an extra £40 in bonus funds. Place a bet (or series of bets) at minimum odds of 1.5 with a minimum stake equal to 15x the combined value of your deposit amount and bonus funds received and once such bet(s) have settled, any bonus funds and winnings remaining will become withdrawable. Stake £1 on Melon, Altior and Yanworth at the normal odds (market shown above) as your first bet. Get paid in cash at the normal odds, plus receive an extra £100 paid as a free bet. *Please note, the bet must be placed on the specified treble market. Selections added to the betslip separately will not qualify for the enhanced odds. Stake £1 on Ruby Walsh to be Top Jockey at Cheltenham. Get paid in cash at the normal odds, plus receive an extra £50 paid as a free bet. 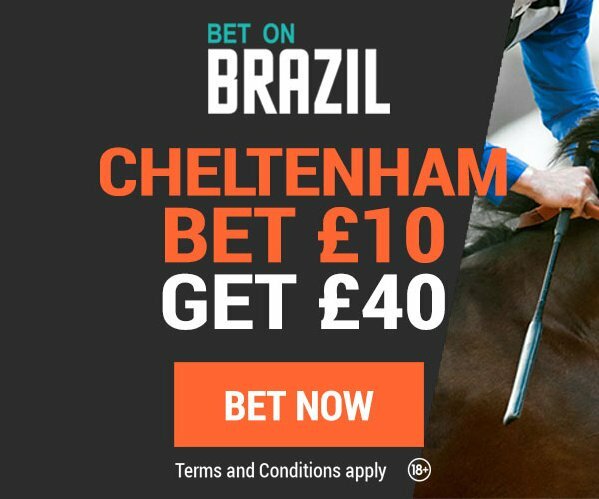 "BetOnBrazil Cheltenham enhanced odds, free bets and betting promotions"